I was browsing my usual favourite blogs this afternoon when I came across a post by wonderful French blog Merchant Design showing the stunning home of set designer Johanna Burke. The Brooklyn apartment has the most incredible light (such a contrast to the dark, grey day here in Sweden!) 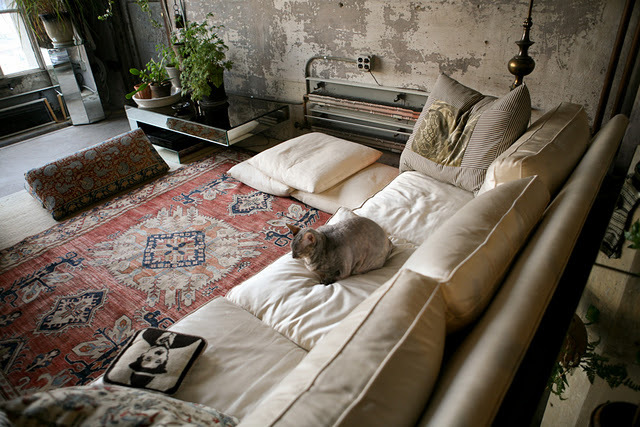 and I love the relaxed feel. I just had to share it with you. What do you think? To see more pictures from this apartment here. It's definitely worth the visit! Have a lovely evening! Oh, Amazing! 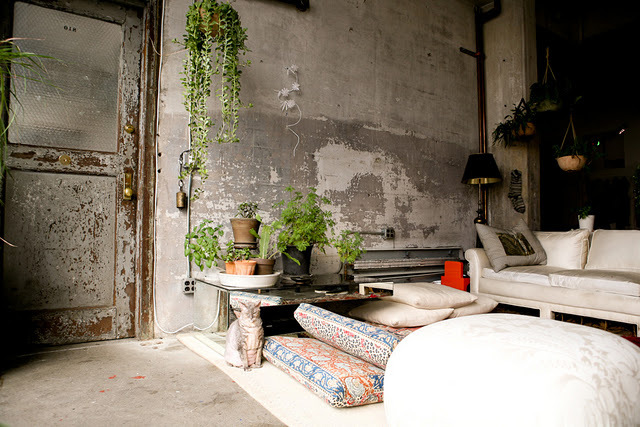 You hear about industrial apartments like that in Brooklyn all the time but never really know that they REALLY exist! Thanks for the post and inspiration! Love it! 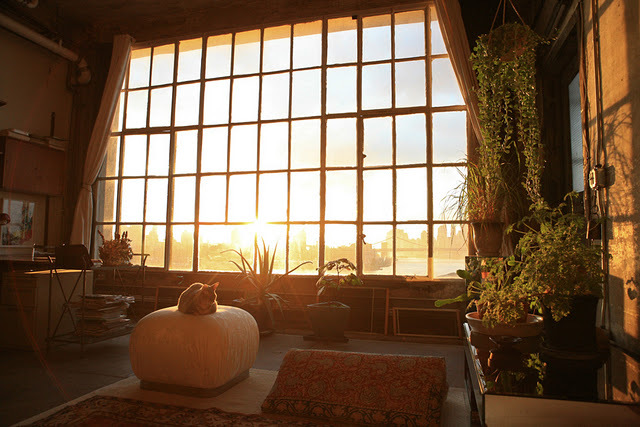 so beautiful.. the light, the windows.. not forgetting the cat!